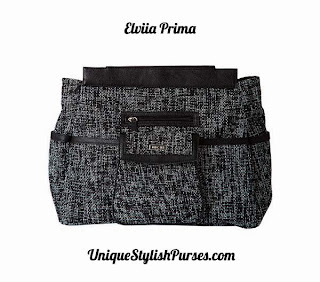 The Elvia for Prima Miche bags combines the timeless elegance of tweed with modern styling—a completely feminine take on menswear-inspired fashion! Get in touch with your inner sophisticate while enjoying plenty of pockets too. Black and white tweed fabric features black faux leather accents. Zippered, snap and large open front pockets let you carry everything you need.